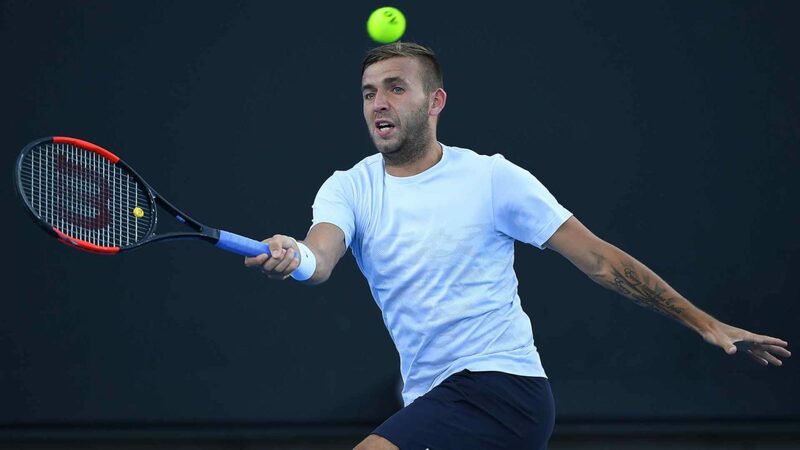 Daniel Evans, 28-year-old British player who is ranked 163rd in the ATP Ranking This Daniel Evans is a player who has a lot of tennis and just remember that he was number 41 in the world he is a tennis player who serves well, has good right and in the exchanges of ball has enough quality. Evans is determined to return to the TOP 100 and then set new goals. He was in the Australian Open where he managed to pass the qualifying round, win the first round of the table and then lost in the second round with Roger Federer in 3 sets in a very even match where Evans was well. Here he beat Bittoun in 2 sets and Halys in a Tie-Break of 3rd set. Last year was not here. Constant Lestienne, a 26-year-old French player who ranks 146th in the ATP Ranking. This Frenchman is a player who likes to play at the bottom of the court, to build the dots on the bottom of the court and who can play on any surface once he moves well. It has never been TOP 100 and is a player who always walks around the Challenger tournaments. Last year he won a Challenger in what was the best result of the season. Daniel Evans is a player with more arguments and I believe he wins this match. I expect good ball exchanges at the bottom of the court, as they both like to prepare the points from the bottom of the court, but Evans has more solutions and is a player that is a good step above Lestienne. I think this difference will be visible even though Lestienne may at times be a boring player. I see no other possibility here than Daniel Evans to win the meeting. It went well for Halys who played at a good level and this victory gave even greater confidence to the British player who should continue to display themselves at a high level to defeat the new Gallic player.